It’s that time of year and the Disc Golf Season is starting to slow down, the Winter Offseason is upon us. A great time to reflect about the season as a player, the triumphs, the downfalls and the improvements that can be made to ensure a more successful season next year. It’s during this time every year when I’m not playing tournaments that I start to plan my Winter Offseason Training Program consisting of: a Workout Routine, a Nutritional Diet, Vitamin & Mineral Supplementation and a Daily Schedule. As we all know, Disc Golf is a sport that requires strength, flexibility, agility and power. 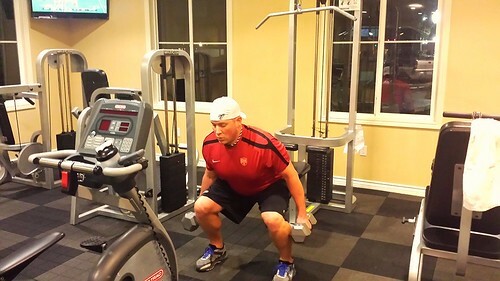 As a Professional Athlete it helps to train like a Professional Athlete. The throwing motion is a very explosive athletic move that places high demands on the body. Physical Training in Disc Golf is often overlooked but it’s a very essential way to prepare your body and to take your game to the next level. I’ve been involved in Athletic Sports for a majority of my life, playing various sports growing up. I even graduated from the University of Oregon with a degree in Human Physiology, Athletic Training and Physical Education. 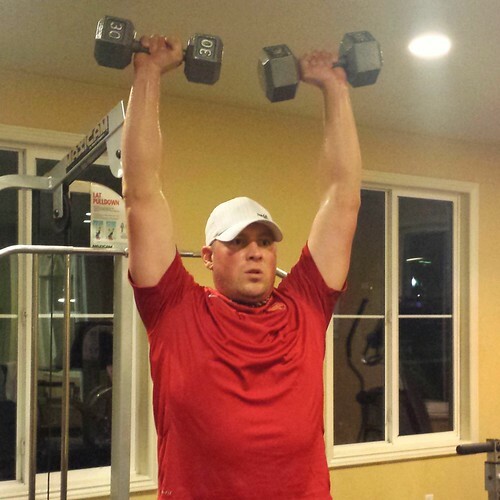 By applying what I learned in school it has definitely benefited me throughout the years by keeping in good physical condition in addition to helping prevent injuries that may occur throughout the long season of Disc Golf. I realized that keeping in shape is the number one way to improve performance on the Course and to extend your playing years. Physical Training offers many benefits including increased throwing distance, better endurance that will allow you to play for longer and better concentration that will help shave strokes off of your average score. Obviously, practicing is one of the best ways to become a better player by going through the repetitions but getting your body in the proper physical condition will be very beneficial to prolonging your playing career as well. Training is not very common in Disc Golf but I have a great feeling that it’s going to become a lot more popular with many of the Top Players as the Competitive Level only continues to increase. But you need to keep in mind that Disc Golf is not one of those sports where you have to Big & Strong to be a great player, trust me, I wish that it was. Disc Golf is more about Core Strength, Flexibility and Speed when it comes to throwing, too much Bulk can cause deficiency in accuracy and control. In this game, it’s about power when throwing distance drives, and about touch and accuracy when approaching and putting. Mental preparation and motivation are the keys to any successful training program. Be sure to realize what you are working towards, what you are trying to accomplish by training and set goals in which to achieve by dedicating time in the offseason to training for Disc Golf. It’s best to establish those goals early on and by documenting your workouts (sets, reps and weight) you’ll be able to monitor and track your progress. Build a routine that you set for yourself and stick with it throughout a 3-month period while scheduling the best days to workout (ex. Mon, Tues, Wed, Fri and Sat). Finally, get ready to push yourself or better yet find a training partner that will be there to motivate you along the journey of proper physical conditioning. I usually start with a light jog to warm up the muscles and prepare them for training. I recommend going for a run outside (1/2 mile), running on a treadmill (1/2 mile), stationary bike (10~20 mins) or doing jumping jacks (2 sets of 50) to get your joints loose and your muscles ready for stretching. I really like to stretch the body out, lengthen the muscles and get them ready for the workout. It’s important that you never stretch cold muscles, stretching also reduces the chance of pulling something or possibly injuring yourself while training. 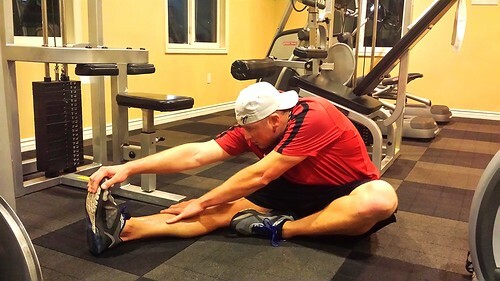 Here are my Top 10 Stretches that I recommend that will get your body ready to preform before heading out to play a Practice Round, play a Tournament Round or if you’re just going out to practice distance drives in the field. These stretches will incorporate your Shoulders, Triceps, Torso (Core), Lower Back, Hips, Hamstrings and Calves. Make sure that you don’t over stretch or hyper stretch anything at this point, it’s all about preparing the body for the workout. I also highly recommend stretching after all daily workouts as well. I try to focus on using Lighter Weights with Higher Repetitions when training for Disc Golf as it’s necessary to be very flexible and have good range of motion. I’m not trying to add a lot of bulk during these workout sessions because I try to train in a way that results in increased strength, stamina, endurance and overall conditioning. Being strong and having great flexibility are huge advantages in the sport of Disc Golf as well as most other competitive sports. I like to separate my workouts in four various training routines; Back and Biceps, Chest and Triceps, Shoulders and Legs, Core and Cardio. This allows me to workout up to 5-days a week without over fatiguing and burning out during the winter offseason. I also try to maintain symmetrically alignment throughout these sessions in order to have balance by training both sides on the body equally. This will prevent one side of the body getting too built up as compared to the other side, which is very common in Disc Golf because a majority of players only throw from one side causing an overdevelopment of those muscles. Although there are hundreds of strength workouts and training drills, I’m just going to choose 5 of my personal favorites for each and every body specific section. The Shoulders, Upper Back and Arms generate a lot torque for throwing distance shots, of those the shoulders are very vulnerable to injury if not properly conditioned, so you need to make sure that concentrate on primarily stretching and strengthening the deltoid muscles. The Upper Back is composed of the Trapezius (Traps), Levator Scapulae, Teres Major, Teres Minor and the Rhomboids, these are a big group of muscles that generate lots of power. The Arm offers the most speed during the throwing motion and primarily utilizes the Triceps throughout the pulling movement across the chest to the final release of the disc. The Core and Lower Back help to generate speed when throwing and allowing for great flexibility throughout the body. The Core joins your Upper and Lower Body, enabling the torso to have a smooth, fluid rotation while providing good overall body stabilization. A strong Mid-section and Abdominal Muscles will also protect your Upper, Lower Back and Spine while helping them to remain in proper alignment to reduce the chance of possible injury. The Legs and Hips generate lots of force by driving the lower body forward while also stabilizing the upper body. The legs and hips are responsible for a majority of the power and torque produced during the throwing motion. It’s very necessary that I focus on the lower body as well as the upper body to improve my overall body strength. Now you’re ready to begin training for Disc Golf! Along with all of the workouts routines and stretches previously mentioned, Athletic Training in general helps with focus, concentration, confidence and most importantly injury prevention throughout the Season. Diet is the other half of the, Exercise and Diet Combo. You know you should exercise and eat healthly to keep your weight in check, these are the mainstays for an overall healthy lifestyle. A nutritious diet will provide your body with all of essential vitamins and minerals that it needs throughout the training process to allow for proper efficiency while supplying more energy and offering quicker recovery times. This is by far one of the most difficult things to do while on the Disc Golf Tour for a majority of the year but I try my best to eat simple foods, cook for myself when a kitchen is available and avoid eating out when possible. But it’s always going to be a lot easier said than done because I don’t have access to a kitchen most of the time when I’m consistently traveling. It’s definitely a different story during the winter offseason when I’m able to go grocery shopping and have time to prepare my own meals. Here’s four guidelines that I use when it comes to managing my diet while training during the winter offseason. 1) Eat Clean. It’s best to consume as many organic food sources as possible including fresh fruits, vegetables, meats, etc…sure it costs more to eat an organic diet but its benefits substantially outweigh the upfront costs to purchase such foods. Plus by doing so there’s less risk of consuming synthetic pesticides, chemical fertilizers, industrial solvents, or chemical food additives. 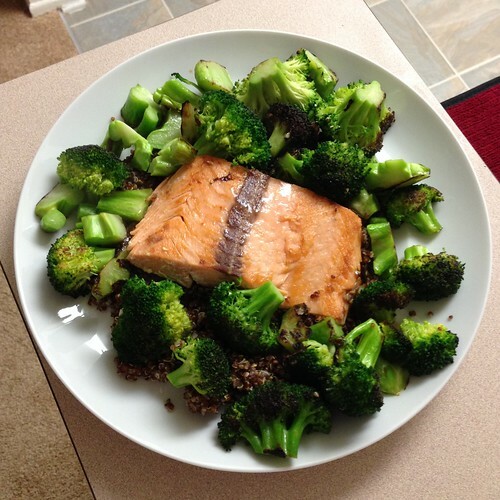 Eat Clean, Live Well. 2) Eat Simple. Instead of being overly concerned with counting calories or measuring portion sizes, think of your diet in terms of color, variety, and freshness. This way it should be easier to make healthy food choices. Focus on finding foods you love and easy recipes that always incorporate a fresh ingredients. Gradually, your diet will become healthier and more delicious while improving energy levels in order to maintain your daily workouts. 3) Start slow and make changes to your eating habits over time. Trying to make your diet healthy overnight isn’t realistic or smart. Changing everything at once usually leads to cheating or giving up on your new eating plan. Make small steps, like adding a salad (full of different vegetables) to your diet once a day. As your small changes become habit, you can continue to add more healthy choices to your diet. 4) Every change you make to improve your diet matters. You don’t have to be perfect but slowly and completely eliminate packaged foods to have a healthy diet plan. The long term goal is to feel good, have more energy and reduce the risk of cancer and disease on the way to top physical shape. Don’t let your missteps derail you, every healthy food choice you make counts towards a healthier lifestyle. Hydration: Water helps flush our systems of waste products and toxins, yet many people go through life dehydrated which causing tiredness, low energy, and headaches. Many times it’s common to mistake thirst for hunger, so consume at least a gallon of water a day! I don’t take a lot of supplements throughout my training programs but I try to include the ones that I feel benefit me the most during my workouts. I’m not into all of those designer weight gainers and expensive mass builders because I’m not trying to add size, I’m just trying to get stronger and more physically fit. If that’s something that you’re into than by all means go all out on it, but I’m here for training for Disc Golf and to increase my overall athletic performance. Here’s five supplements that I take on a daily basis that I would recommend to anyone starting their workout and training routines: Multivitamins, Omega-3’s, Protein Powder, Creatine and Green Tea. 1) Multivitamins are great to take on a daily basis because they are a dietary supplement that contain all of the necessary vitamins, dietary minerals and other nutritional elements. They are critical to the program because they fill in any of the losses of vitamins and minerals that you may be lacking from your actual diet, it is a must for anyone who doesn’t get enough fruits and vegetables. Rather than megadoses of nutrients, look for one pill that provides 100% of your daily requirements for as many of the different vitamins and minerals as possible. 2) Omega-3 (Fatty Acids) are considered essential fatty acids, meaning that they cannot be synthesized by the human body. They are commonly sourced from Fish, Flaxseed and Hemp. These fatty acids are vital for normal metabolism, lowering blood pressure and they play an important role in reducing inflammation throughout the body – in the blood vessels, in the joints and elsewhere. Omega-3’s are also suggested to be the best protection available against preventing heart disease. 3) Protein Powder is an important supplemental addition to any type workout or training program. Sure, you can get plenty of protein in your diet, but protein powder has other advantages: It’s convenient and generally lower in calories than an entire “high protein” meal. Drinking a protein shake after every workout speeds muscle recovery and supplies your body with the amino acids needed for muscle growth. I like to consume a protein shake the first thing in the morning when I wake up and immediately following an intense training session. 4) Creatine is not just for Body Builders, it’s a nitrogenous organic acid that occurs naturally in humans and helps to supply energy to all cells in the body, primarily muscle. Since it produced naturally in the body, addition supplementation of creatine increases the body’s ability to produce energy rapidly. With more energy, you can train harder and more often, producing faster results. 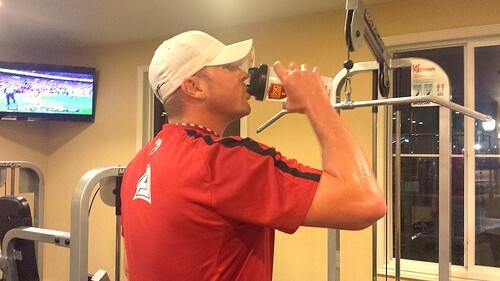 It’s great to take both pre- and post-workout during your weight training program. Getting at least 7-9 hours of sleep per night will positively effect your overall athletic performance during your training. There has been research stating that limited amounts of sleep has produced a decrease in glucose metabolization and increased cortisol levels during sleep deprivation periods which has been linked to memory impairment, age-related insulin resistance and impaired recovery in athletes. Most athletes know that getting enough rest after exercise is essential to developing the highest levels of performance, but many athletes still over train and feel guilty when they take a day off. The body repairs and strengthens itself during the time between workouts and continuous training can actually weaken the strongest athletes. It’s perfectly fine to take a day off of training in order to recover. Best of Luck with your Disc Golf Training, I hope that you get properly conditioned and ready for next year’s Disc Golf Season!